The guys at Rays Engineering and gram Lights have released a new wheel. This wheel looks awesome, especially in the blue. Gram Light 57 Ultimate and 57 Ultimate SC come in a lot of sizes. Not too many Subaru friendly wide ones but there are plenty to satisfy the guys wanting a lower offset. The Bridgestone RE760 Sport is my personal favorite daily driver summer tire. 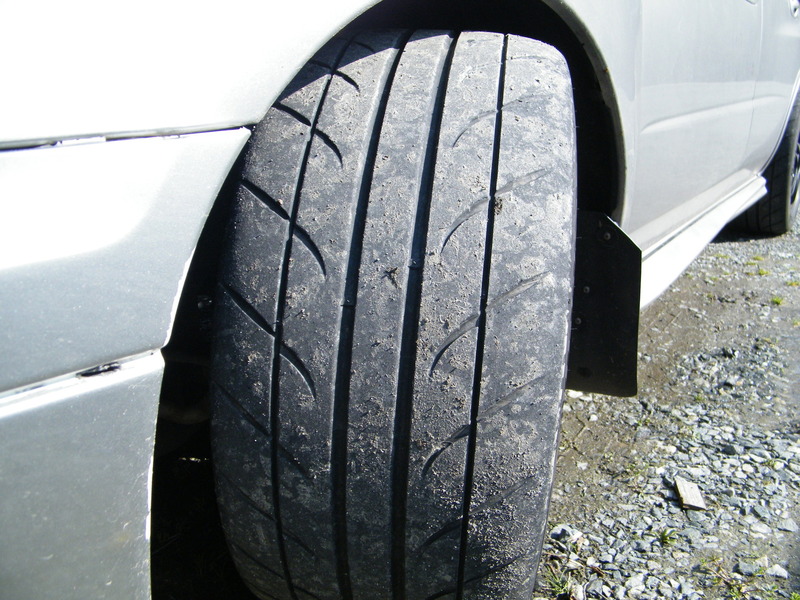 Meaning, if you don’t need a tire to do track/autox duty then these are the tire for you. They grip, they have great life, and the best part for anyone who has had Bridgestone RE070’s or Dunlop Z1 Star Specs is the Bridgestone RE760 Sport is quiet. Â I’m ok with a loud exhaust, loud engine noise, and some road noise. Having excessively loud tires is something I prefer to have on the track/autox. The 760Sports are easily the #1 tire IÂ recommendedÂ to people. It really is a great tire, I plan on ordering another set when my current set dies, I’ve never said that about another tire. Here is a brief list of tire sizes that will be close to factory size for the GD Subaru Impreza WRX and Subaru Impreza WRX STi. Here are the applicable sizes. Each of these will work on a stock body WRX with the correct wheel/offset/suspension/alignment setup. May need fender rolling or other fender mods to fit without rubbing. 05-07 GD STi Fender mod.